If you’re looking for a subcompact car that can handle city streets as well as pack some cargo for road trips, then you’re looking at vehicles like the 2015 Toyota Yaris Hatchback and the 2015 Nissan Versa Note. Both are primed for the urban adventures and rustic getaways that adventurous souls of all ages would want to take, and both of these have a hatchback for ease of cargo access, but let’s look at the differences and find the worthier car. They both have economical starting suggested prices, with the 2015 Toyota Yaris Hatchback checking in at $14,595 and the 2015 Nissan Versa Note putting up a slightly lower MSRP of $14,298, so that’s essentially a draw. But when you’re looking at subcompact cars, one of the qualities that you might be looking for is handling, and the 2015 Toyota Yaris has that down pat, with only 5.5 inches of ground clearance and a lighter vehicle at 2,315 pounds in base models as opposed to the 2015 Nissan Versa Note’s bulkier 2,417. Combine the Yaris’ lightweight body with its excellent 31.5-foot turning circle, which easily tops the Nissa Versa Note’s 34.8, and you have a car that glides everywhere you go, turning on a dime and keeping the change. While the 2015 Toyota Yaris Hatchback is a little more expensive initially, it’s the better value overall since it expends 7.7 litres of fuel / 100 km in the city and 6.3 litres / 100 km on the highway, versus the Nissan Versa Note’s 8.6 litres it expends in the city and 6.5 litres on the highway over the same distances. 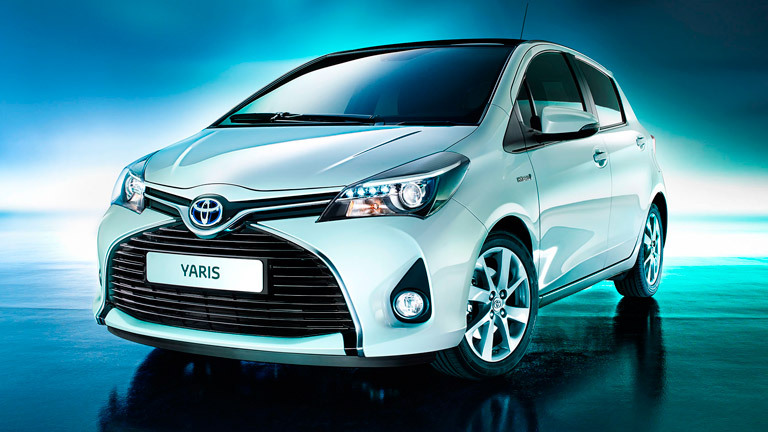 Simply put, the Yaris will save about 10 percent more at the pump. If you’re swayed by a car’s looks, the 2015 Toyota Yaris has a more modern, sporty look, with a large front grille and a compact design; the 2015 Nissan Versa Note with its station wagon-esque design looks bulkier and stodgy in comparison. Still not convinced? 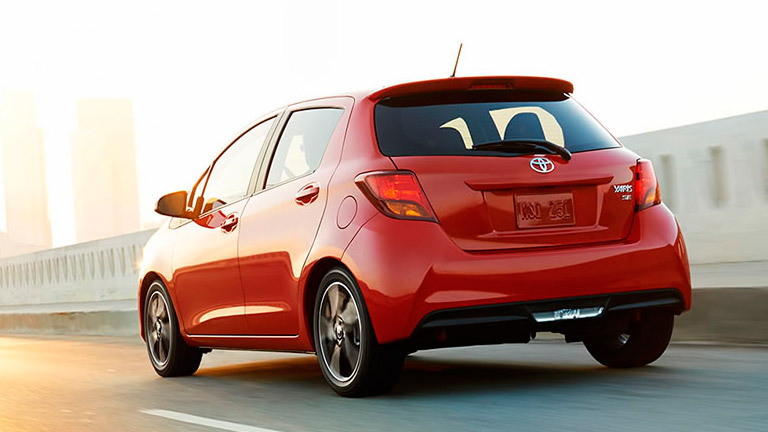 If it’s audio options you desire, the Yaris has six speakers in its top-of-the-line SE trim, while the Versa Note tops out at four in all trim options. And look at these awards: Among the many the Yaris model has won recently is the 2015 Best Overall Value of the Year award by IntelliChoice, its fourth straight win, and Best 2015 Excellent Value award, also by IntelliChoice. So come to Attrell Toyota and test drive a Toyota Yaris Hatchback today. Attrell Toyota is located at 110 Canam Crescent, Brampton, Ontario, L7A 1A9, and we have plenty of Toyota Yaris models in stock. We serve the greater Mississauga and Toronto area as well. Please contact us at 905-451-7235 or come visit us today to see our cars or to take one for a test drive.